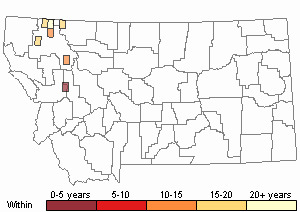 Rare in Montana, where it is at the southern edge of its range. 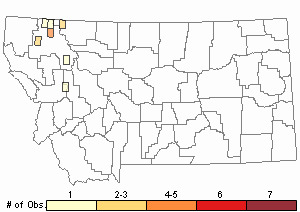 Known from a few widely scattered sites in the northwest corner of the state. 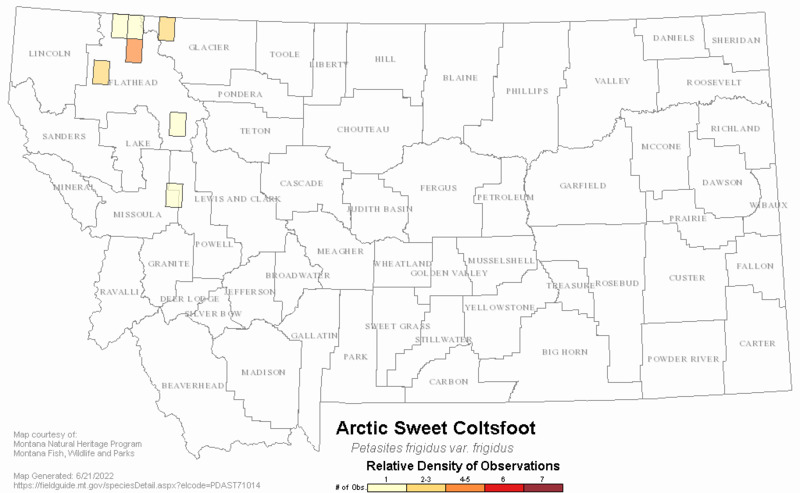 Arctic sweet coltsfoot is a rhizomatous, perennial herb with erect stems that are 1-3 dm high and clothed in alternate, overlapping, brownish parallel-veined bracts that are 25-60 mm long. Leaves arise from the ground separately and later than stems. Blades are up to 2 dm wide and are spade-shaped with lobed margins and long petioles. Leaves are glabrous above but covered with long white hairs beneath. Many stalked flower heads are borne in a small umbrella-shaped inflorescence at the top of the stem. Each head is 5-9 mm high and has a single series of involucral bracts surrounding the white tubular flowers. Some heads have flowers with fertile ovaries and inconspicuous rays but without stamens. Other heads have flowers without rays but with fertile stamens and sterile ovaries. The achenes are topped by numerous unbranched, white bristles, which form a pappus. Flowering in late May - early June. The more common var. sagittatus has leaves that are merely toothed on the margins. AK to NL south to CA, CO, SD, WI and NY (Lesica 2012. Manual of Montana Vascular Plants. BRIT Press. Fort Worth, TX). 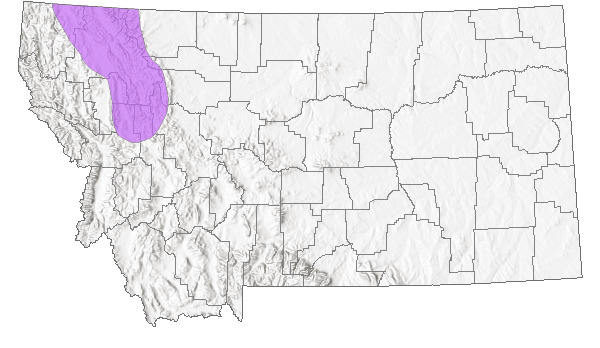 Swamps, fen margins, and riparian seeps within open forest and meadows in the valley and foothill zones. 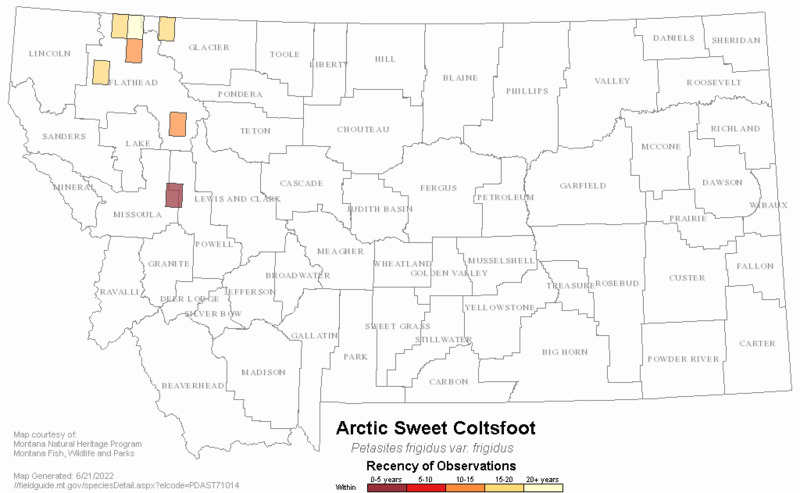 Web Search Engines for Articles on "Arctic Sweet Coltsfoot"